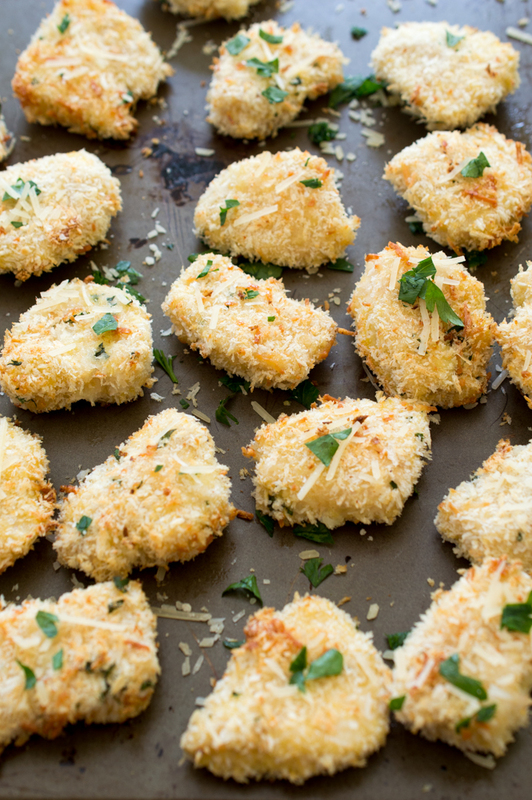 Super Crispy Baked Parmesan Garlic Chicken Nuggets. Breaded in panko breadcrumbs and Parmesan cheese and baked until golden brown and crispy. Wonderful as an appetizer or for dinner! These chicken nuggets are amazing. Perfectly golden brown, tender on the inside and extra crunchy on the outside. Just how I like my chicken nuggets. They are baked not fried and are still super crispy on the outside. They are breaded in panko breadcrumbs, Parmesan cheese and garlic. 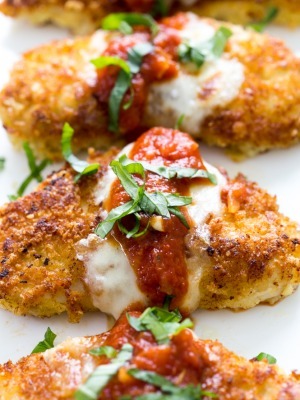 Similar to my Crispy Baked Parmesan Chicken Tenders but way more pop-able. The trick to getting these nuggets crispy is the panko breadcrumb. Panko breadcrumbs are a Japanese style breadcrumb which are lighter and flakier than typical breadcrumbs. Baking these nuggets also makes them a lot healthier. I use a high heat (I set the oven to 400 degrees) to get them nice and crispy. These chicken nuggets take about 30 minutes start to finish to throw together. I begin by cubing the chicken and then breading them in flour, egg and our panko cheese mixture. I use this baking method / breading for most of my chicken recipes. It’s a great way to get tender chicken with a crispy coating. I used this method for my Easy Honey Garlic Sesame Chicken and my Super Sticky Asian Chicken Bites. The best way to bread these chicken nuggets is to keep one hand for wet ingredients and one hand for dry. This helps from getting the dreaded breading hands. 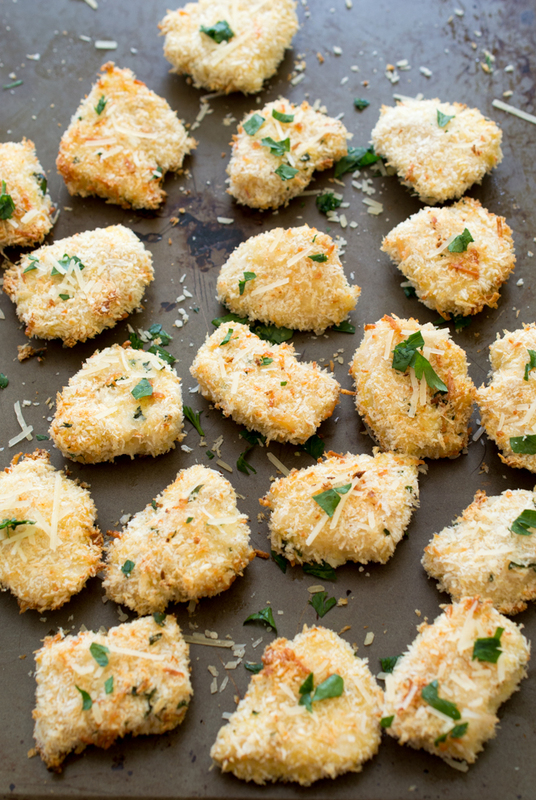 Serve these Baked Parmesan Garlic Chicken Nuggets with my Three Cheese Mac and Cheese. I like to garnish with parsley and or course extra cheese. Dunk and dip in your favorite sauces or try my Bourbon Barbecue Sauce. Kids and adults alike with love these chicken nuggets. 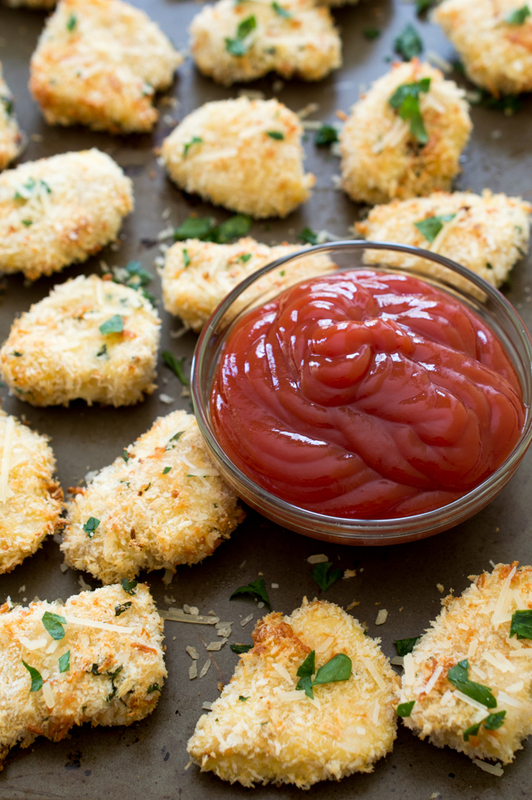 Skip store bought frozen chicken nuggets and give these a try! Add flour to a shallow dish. Add egg to a shallow bowl and whisk, set aside. Add breadcrumbs and Parmesan cheese to a shallow bowl and mix to combine. 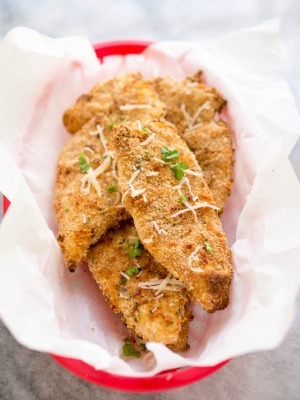 Starting with the flour and ending with breadcrumbs, dip the chicken into the flour, egg and Parmesan breadcrumbs. Line the chicken tenders on a baking sheet covered with a silicon baking mat. Place in the oven and bake for 15-20 minutes until fully cooked. Flip halfway through cooking. Take out of the oven and top with extra Parmesan cheese and chopped parsley for garnish. Serve with a side of your favorite dipping sauce. These look great and so much healthier than fast food or store bought chicken nuggets! These look so delicious Kelley! I love coating chicken in panko but I don’t think I’ve ever tried making nuggets before, what a great idea! My daughter will love these. Making them for her tomorrow night. I just bought 2 pounds of panko (they were on crazy good sale at BJs!) and think I need to add these chicken nuggets to my meal plan! These chicken nuggets look perfect, Kelley! We adore using panko crumbs and I can just imagine how amazing these would be with your bourbon bbq sauce! Love these! These look delicious, and so simple! My kind of recipe! Chicken nuggets are always a go at my house! Love that you’ve added the parmesan, makes it SO yummy! These look fantastic, mmmmmmmmmm! 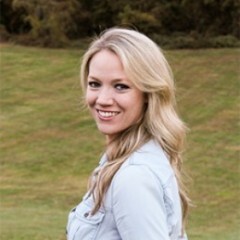 I recently found your blog, and loving it. This recipe looks sooo tasty ! 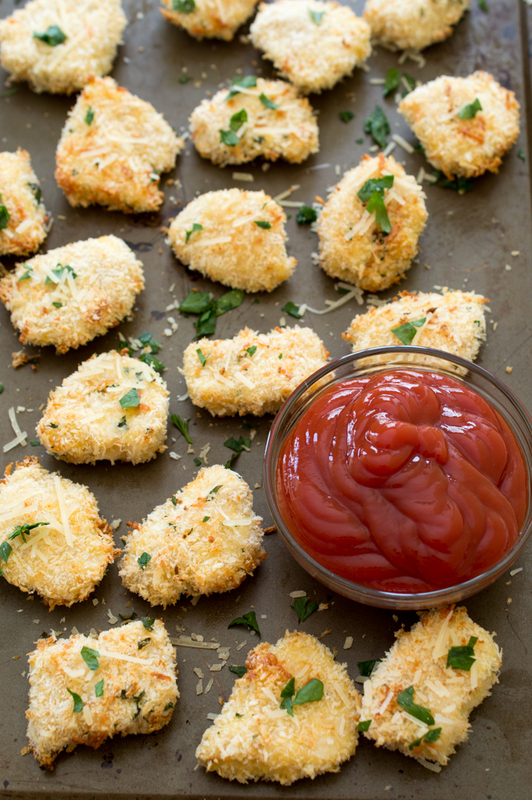 Healthy chicken nuggets, yes please! Thank you Ana! I’m so glad you like it! This looks like the perfect snack/appetizer! Pinned to try them! My goodness, I need to make these ASAP. Love the parmesan and garlic seasoning. Sounds like I need to make a batch of these and your Bourbon BBQ sauce! Oh man, I want a handful of these right NOW! I love everything about them- from being baked, to your use of panko, to how pop-able they are- perfect! 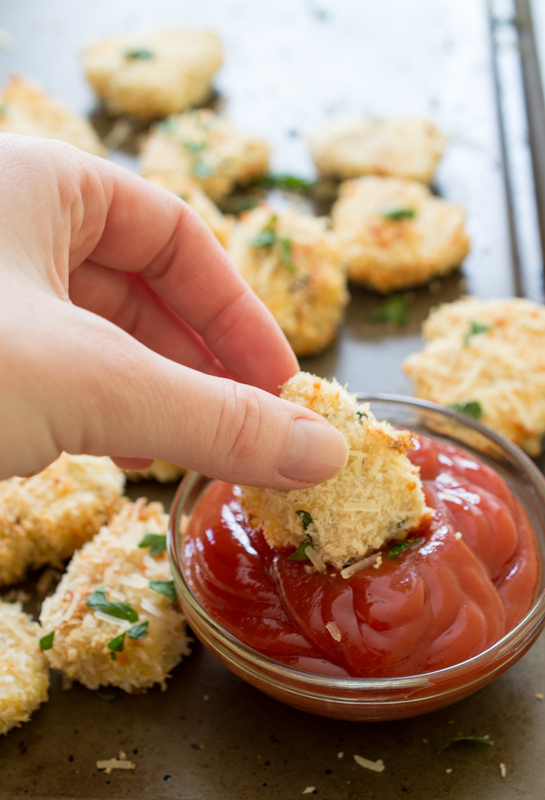 Love this healthier take on chicken nuggets! what a great idea to coat them in parmesan too. This looks like the perfect Friday nigth treat. I want these for dinner! They look so good and crispy. Perfect for a Sunday TV night. You can use parchment paper if you have it or just grease with cooking spray. Make sure to flip halfway. Made these this evening, lets just say they were AMAZING! Full of flavor, crispy and tender! Delicious!